After leaving Beenox, the video game company he founded and ran for nearly 13 years, Dominique Brown was looking for a different type of business to sink his teeth into. 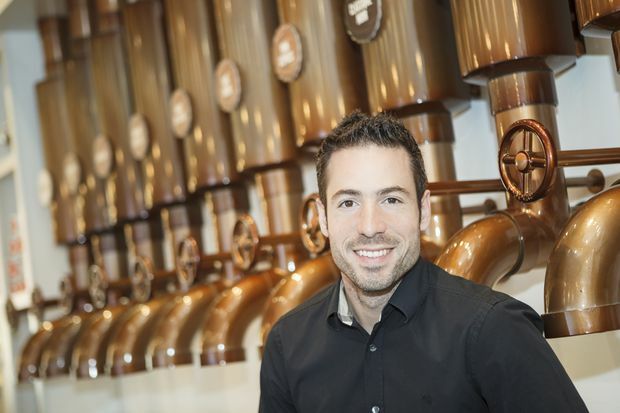 The entrepreneur had a non-compete agreement that prevented him from going back into the video-game industry for a year, so he turned his attention to another passion: chocolate. In 2011, he bought Quebec-based Chocolaterie de l’Île d’Orléans, which he later sold, and in 2012 he bought the Chocolats Favoris chain, which he expanded from three stores in Quebec to 42 across British Columbia, Ontario and Quebec, according to the company. “I’m now having fun in another form of entertainment – chocolate – sharpening my skills as an entrepreneur,” says Mr. Brown, who is also a dragon on Dans l’oeil du dragon, the Quebec version of Dragons’ Den. Earlier this year, he broadened his palette to purchase another company, La Boulange bakery. Dominique Brown was attracted to Chocolats Favoris, which he noticed would often have lineups, especially in the summer. Having both bought and sold businesses, Mr. Brown believes there are right and wrong ways to do a deal. He recommends buyers do a lot of due diligence before making an offer, hire the right professionals to help out and treat founders who are selling with respect. Mr. Brown was attracted to Chocolats Favoris, his main business, as a customer, but he also noticed the stores would often have lineups, especially in the summer. “It smelled [of] success,” he says. Mr. Brown approached the owner at the right time, given that the owner’s plans to pass along the business to someone internally had recently fallen through. Based on his entrepreneurial background, Mr. Brown had a good idea of what to look at before making an offer for the business. “I’m not an accountant, but I have looked at so many businesses over the years, I know immediately by looking at the financial statements if it’s in good health,” he says. For example, he considers whether the business will still be desirable to its customers in five to 10 years and projects how much cash the business can generate, while also adjusting for inflation and other long-term factors such as demographics and consumer trends. Due diligence should always go beyond the financial statements, says David Clough, assistant professor in the entrepreneurship and innovation group at the University of British Columbia’s Sauder School of Business. Potential buyers should also look at agreements the business has with customers, suppliers, manufacturers, landlords and other parties. The owner looking to sell the business should supply most of this information. “It’s up to the seller to provide some way to give you confidence in the business,” says Dr. Clough. A treat from Chocolats Favoris. Dominique Brown approached the chain's owner at the right time, given that plans to pass along the business to someone internally had recently fallen through. Customer information can be as critical as the financial statements and legal documents when buying a business, says John DeHart, co-founder of the Nurse Next Door and Live Well Exercise Clinics franchises. “If you have a business that’s reliant on a small number of customers, that can be very risky,” says Mr. DeHart, who bought into Live Well with his wife Gayla with the goal of helping founder and business partner Sara Hodson build and scale the business into a global brand. Mr. DeHart recommends potential buyers talk to customers to get a sense of what they like and don’t like about the business, which can either be a red flag or an opportunity for improvement. Part of his attraction to Live Well was that it had numerous, happy and recurring customers with memberships to the gyms. The next hurdle is to determine a price to offer for the business. There are two main approaches, depending on the company being considered: book value, which includes adding up the assets and liabilities, and earnings-based methods, which are based on how much profit it will generate in the future. Dr. Clough said earnings-based methods are the most common assessment, especially for companies with a steady cash flow. The price would be determined by a multiple of recurring annual earnings, which can range from about three to seven times, depending on the business. The price is then usually open to negotiation. “At the end of the day, the seller will try to argue for a higher multiple, while the buyer will try to argue for something lower,” Dr. Clough says. It is after agreeing on an initial price, and signing a letter of intent, that buyers like Mr. Brown will bring in professionals, such as an accountant and lawyer, to dig deeper into the business. While accountants look into the financials, lawyers can review contracts and pinpoint any potential legal issue that might come up in contracts with suppliers, employees or landlords, if the business has a property that is being leased. “Some people don’t want to invest money for this additional due diligence process [because of the cost], but I see it as an insurance policy for my investment,” says Mr. Brown. Dr. Clough also recommends using professionals to handle the acquisition. “For most people purchasing a business, it’s something they do once in their life. For these professionals, it’s something they do day in and day out,” he says. "Chocolate Poutine," from Chocolats Favoris. Buyers and sellers should also set up a transition plan. A seller may be needed to help the owner in the first few weeks or months, especially if they have a strong connection with customers and suppliers. That said, there’s a risk the seller may have trouble letting go of the company, which is why experts recommend the terms be put in writing. While all business transactions are different, Mr. Brown recommends a slightly softer approach with founders of a company who are likely to have a strong emotional connection to the business. “Put yourself in the mindset of someone who is essentially selling his or her child,” says Mr. Brown, speaking from experience with Beenox. Often, founders want to hear what plans a potential seller has for the business, before talking about price. “If you talk about numbers too fast you may lose the deal,” Mr. Brown says. He also reminds buyers that they are not just buying a business but a company culture, which can be either good or bad. Any changes a new owner wants to make to that culture will take time and patience.